LiPo vs NiMH batteries….which one should you choose?! RC RTR vs. RC Kit – Which one should you choose?! Nitro vs Electric RC Cars – Which one do I pick?! That is the first question any one asks when you tell someone you enjoy airsoft games. The conversation either ends with “Hell ya! I’ll join you next time your going out for a game” or the dreaded “all guns are bad and you’re an idiot *sigh* smh”. Now, we’re not going touch the later response but rather focused on the folks who want to check out the game but are on the fence about getting hurt. Yes, it does hurt to get hit by a bb. If you’re wondering how much does it hurt? then it depends on your level of pain tolerance. It could be 3-5 second sting or chipped teeth (if you’re not wearing the protective gear). But if you’re playing any sports there are chances of hurting yourself and airsoft is no exception. If you’re not wearing protective gear, then the intensity of airsoft bb’s will go from a quick sting to nasty bruise real quick. Lets break it down, how much does it actually hurt? There are couple of factors to keep in mind. Airsoft bb: Average bb weighs about .22 grams – 0.25 grams, 6mm diameter and plastic or polymer composite. Resistance: Friction from the wind from the point of release to impact plays a crucial role. Gear: Also depends on how much protective gear is being worn. If an average plastic bb (0.25g) is traveling at 300 fps (average airsoft gun) towards a target then the force of impact would be 0.84 Joules. What does that mean? it means that your good friends range and resistance comes into picture. If you get hit by a 500+ FPS gun from 50 feet away and not break skin but if you try to do the same 10 feet away you will likely break skin. Plus it also depends on how much protective gear you have on for deflection. 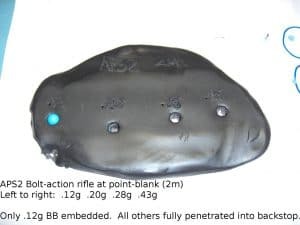 Check out the image courtesy of unconventional airsoft, they performed the penetration test on different bb’s at point blank. So what does all these science talk mean? 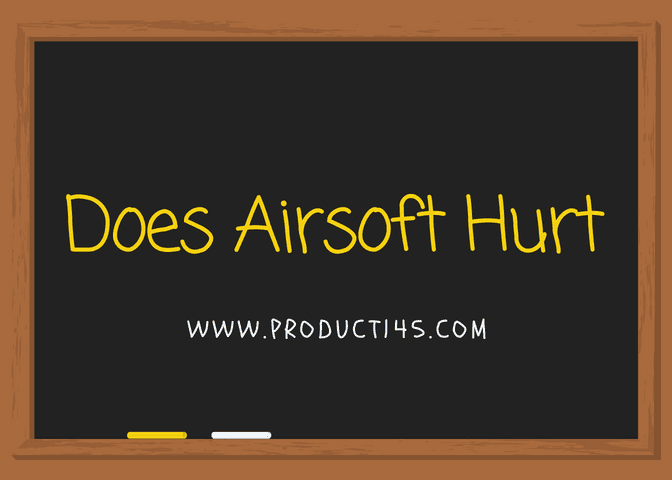 it means with all the variables coming into picture, the best way to not get hurt while playing an airsoft game is by wearing your protective gear. Well that’s my take on “Does airsoft hurt”. Now go out there and enjoy the fun and exciting world of Airsoft!